We have got to the end! The end, that is, of the mammoth World Series of Poker 2006!! 1. Praz Bansi (London, UK) - Winner of Bracelet and $230,209. Other notables: Sverre Sundbo 23rd. UK/Ireland cashes: Praz Bansi 1st and Bracelet ($230,209); Arshad Hussain 13th ($15,516); George McDonald 42nd ($4,004); Dave Masters 64th ($2,503); Paul Dilley 82nd ($1,502); Kevin Hayes 91st ($1,502); Marino Mura 98th ($600); James Lowe 102nd ($600). 1. Paul Koble (California, USA) - Winner of Bracelet and $316,144. Other notables: Mel Judah 19th, Steve Dannenmann 26th. UK/Ireland cashes: Mel Judah 19th ($8,935); Ian Woodley 53rd ($4,124); Marc Goodwin 56th ($3,436); Neil Channing 60th ($3,436); Gursel Gulfer 84th ($2,062); Gareth Derbyshire 88th ($2,062). 1. Jim Mitchell (California, USA) - Winner of Bracelet and $154,173. Other notables: Ola Brandborn 24th, Barry Greenstein 29th. UK/Ireland cashes: Stuart Fox 2nd ($79,061); Mark McCluskey 9th ($9,883); Shelly Rubenstein 37th ($659). 1. Kevin Nathan (California, USA) - Winner of Bracelet and $171,987. Other notables: Tom McEvoy 11th, Clonie Gowen 19th, Max Pescatori 34th. UK/Ireland cashes: Jonathan Caplan 10th ($6,306); Marc Goodwin 20th ($2,867). 1. Kevin Cover (New York, USA) - Winner of Bracelet and $196,968. 2. Joseph Brandenburg (Oregon, USA) - $105,707. 3. Joshua Tieman (Illinois, USA) - $52,525. Other notables: Mel Judah 23rd. UK/Ireland cashes: Peter Smyth 10th ($7,222); Mel Judah 23rd ($3,283); Dominic Kay 25th ($3,283); Mark Bramley 30th ($2,626). 1. Anders Henriksson (Stockholm, Sweden) - Winner of Bracelet and $202,291. 2. Maureen Feduniak (Nevada, USA) - $108,564. 3. Phil Hellmuth (California, USA) - $53,945. Other notables: David Chui 20th, Doyle Brunson 21st, Cyndy Violette 24th. UK/Ireland cashes: Waheed Ashraz 17th ($4,720); Darshan Sami 22nd ($3,372); Stephen O’Keeffe 25th ($3,372); John Hewston 41st ($2,023). Congratulations to Praz Bansi who joined John Gale as a British Bracelet Winner! In the very last event, Phil Hellmuth once again nearly captured a record-breaking 11th Bracelet. There can be no question that this Series has been a highly successful one for the Poker Brat. The man has what it takes! 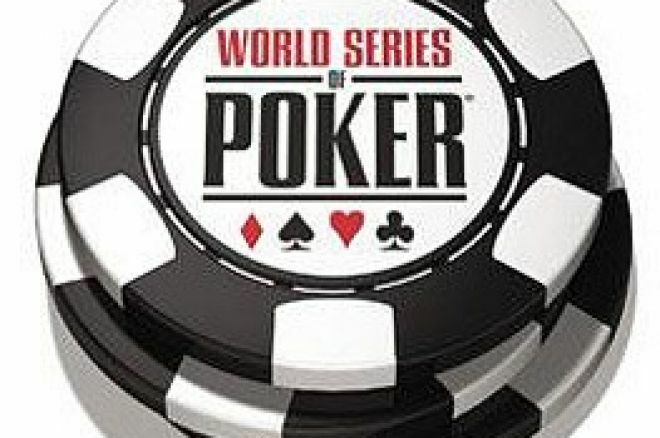 Until next year, that was The World Series of Poker! Ed note: Play the UK Poker News exclusive freeroll into the televised 888.com UK Poker Open! Just download 888 Poker here.